Sweden universities stand in a respectable position among the Europe universities. Swedish universities encourage students to think independently and creatively and apply their knowledge. Sweden is a diverse and friendly nation, it is one of the most advanced countries in the world doesn’t show any bias in gender equality. High-quality life, safety, cleanliness made Sweden one of the peaceful country in the world. It is the birthplace of the Nobel Prize, its influence has long spread well beyond its borders. 90% of Swedish people speak English, no language barriers to any English speaking International student. Karolinska Institute is one of the largest and most prestigious medical universities in the world. The Karolinska Hospital is located in Solna and Huddinge, is associated with the university as a research and teaching hospital. The Institute covers nine main focus areas, which include cancer and hematology, epidemiology and public health sciences, and neuroscience. More than 40 percent of the academic medical research conducted in Sweden occurs at the school. Lund University is a public university founded in 1666, It has the main campus is in Lund, Sweden. Additional campuses of this university are present in Helsingborg, Ljungbyhed, and Malmo. Engineering, science, law, social sciences, medicine, humanities and theology, economics and management, fine arts and a school of aviation are the main academic divisions this university. Lund University ranks 88th globally. European Union and the European Economic Area, as well as Switzerland students, have no tuition fee. The tuition fee is charged for any International students except the students from the above-listed countries. The primary language of teaching is Swedish on undergraduates level but many master programs are taught in English. Uppsala University is the oldest and one of the best university in Sweden founded in 1477, a public institution located in Uppsala. The university offers studies in the humanities and social sciences, medical and pharmaceutical, and science and technology disciplines. It is ranked among the top 100 global universities in the world. All of the international master's programs in the university are taught in English, including programs in computer science, entrepreneurship, and peace and conflict studies you will get high-quality education and access to the very latest research findings. At the same time, you are immersed in a vibrant cultural setting that builds on several centuries of tradition. Stockholm University founded in 1878 as a college and got university status in 1960, it is one of the largest and oldest universities in Scandinavia located in Stockholm. It offers 75 Master programs all taught in English. The course department contains Law, Social science, Humanities, Mathematics, Physics, Biology, Chemistry, and Earth and Environmental science. The university has exchange and research partnerships with schools around the world, including the University of Illinois, Urbana-Champaign in the U.S. One of Stockholm University's many research centers and labs is the Baltic Sea Centre. 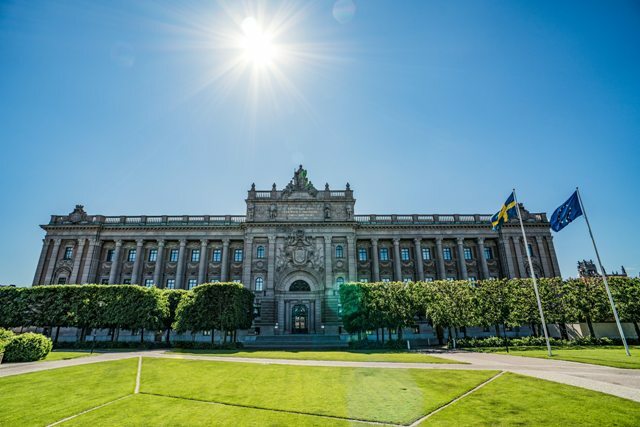 It is a home for almost 70,000 students, with an intake of 1,400 foreign exchange students annually, the Sweden university prides itself on its multicultural environment. European Union and the European Economic Area, as well as Switzerland students, have no tuition fee. The tuition fee is charged for any International students except the students from the above-listed countries. The University of Gothenburg is the third-oldest university of the current Sweden Universities, it was founded as Gothenburg University College in 1891 later on Sweden Government granted the status of University in 1954. It is one of the wide-ranging and versatile universities in Sweden. The University of Gothenburg has 8 academic divisions that include Information and Technology, Business, Economics and Law, Humanities, Natural Science, Social Sciences, Creative Arts, and Health Sciences. KTH Royal Institute founded in 1827 at Stockholm; it is Sweden’s highest ranked technical university. This university provides 41 Master’s programs degrees in various Engineering & Technology studies, it includes Computer Science, Electrical Engineering, Information and Communication, Industrial Engineering and Management, Energy Science, Technology and Health, Architecture and the built environment, Chemical Science and Engineering, Marin Technology, Aerospace Engineering and so on. KTH has a close tie-up with industries which creates a practical ground for students to perform their tests. Several national research centers are hosted by this university and it is a major partner in two European Knowledge and Innovation communities formed by European Union’s European Institute of Innovation and Technology and EIT ICT Labs. If you are interested to study in Sweden on any above-listed programs than walk to our Admissiongyan office at Koramangala or Indiranagar or drop us your contact details. We will guide you to get admission in Sweden Universities. We are Overseas Education Consultancy in Bangalore provides assistance in University Selection, Admission in abroad universities, visa process, and other services related to Foregin Education services.